While the uses of these plants may be versatile and incredible, it's important to remember that some of them have not been scientifically tested yet. 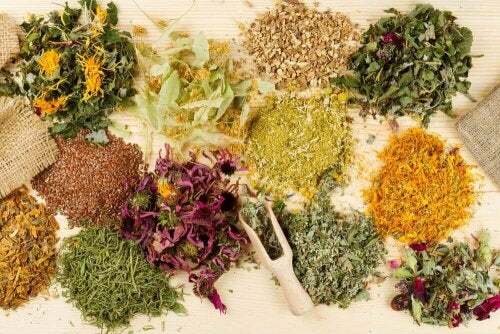 In this article, we’ll talk about the 15 best medicinal herbs, essential medicinal herbs proven over time to be helpful in treating dozens of health problems. Learn how to use them to treat various health conditions naturally. However, always remember to consult your physician before using any medicinal herbs for treatment and follow his or her instructions carefully. Black cohosh is an herb many use for the treatment of menopause. Plus, it also helps alleviate the pain associated with PMS. It’s an alternative to hormone medications that reduces the symptoms of menopause, such as hot flashes, night sweats, mood swings, vaginal dryness, and heart palpitations. 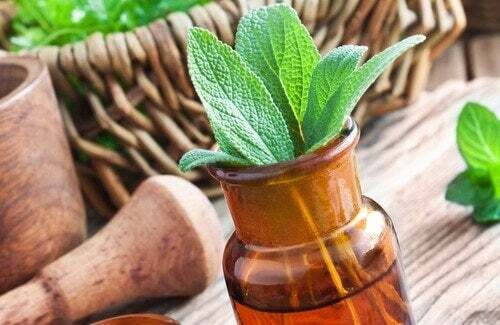 They also use it as a remedy for migraines, as well as for sleep disorders, especially those related to menopause. Before using black cohosh, we recommend that you consult with your physician. A classic liver tonic, the wild yam balances the hormones and alleviates morning sickness. Many use Lion’s Tail to treat anxiety or insomnia, as it acts to calm. In addition, it’s also a good antiarrhythmic agent and reduces tachychardia and palpitations. Plus, they use it for alterations of nerve-related cardiac rhythm and helps in cases of hyperthyroidism. The benefits of sage are endless. Sage helps with digestion, asthma, bacterial and fungal infections, bile, bits, calm and stimulate the nervous system, and relieve colds and a cough, etc. The essential oil that comes from sage improves concentration and may play a role in treating memory loss associated with Alzheimer’s. We can also use it externally as to calm painful illnesses such as muscle rigidity, rheumatism, and neurological conditions. Also, it helps relieve nervousness, anxiety, headaches, stress, and fatigue. However, pregnant women or breastfeeding mothers should not use it, or anyone suffering from epilepsy. The plant is toxic in excess or when taken over a prolonged period of time. However, a toxic dose is very large. Herbal healers have used verbena for centuries throughout history. However, there is a lack of studies about this herb in humans. The curative properties of verbena are mainly attributed to its stimulating effect on the liver and other organs, as well as its relaxing effect on the nervous system. Verbena a useful plant for many ailments as a painkiller and a natural tranquilizer. Some also say we can use it as an expectorant to treat chronic bronchitis, or to lessen joint pain. Herbalists consider verbena especially useful when a depression comes from a chronic disease. Ginseng is used as a general tonic by modern western herbalists, as well as traditional Chinese physicians. They believe that it stimulates and reinforces the central nervous system. This is especially true for cases of fatigue, physical exertion, weakness from illnesses and injuries, and prolonged emotional stress. The relationship ginseng has with the nervous system and its capacity to promote relaxation make it very useful for conditions related to stress, such as insomnia and anxiety. In addition, athletes can benefit from using ginseng for a better resistance. It can also be a sexual tonic and aphrodisiac and help prevent or reverse erectile dysfunction associated with prostate disease and stress. Studies even show that ginseng possibly reduces the appearance of cancer. Schisandra can help increase resistance to disease and stress, raises energy levels, physical performance, and resistance. Many often also use it to normalize blood sugar and blood pressure, to stimulate the immune system, and accelerate recuperation following surgery. It’s an adaptogen herb with many uses. Hawthorn is used for heart and blood vessel disease, such as congestive heart failure, chest pain, and irregular heartbeats. 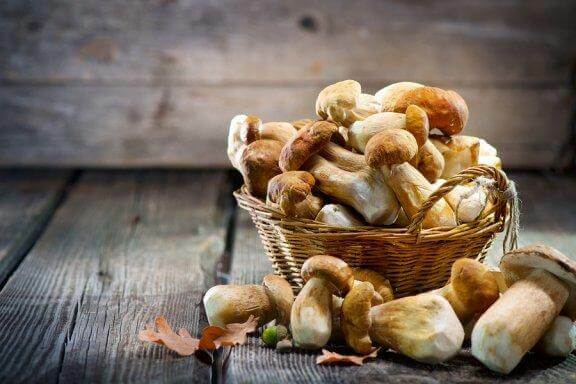 In addition, many also use it treat low and high blood pressure, arteriosclerosis, and high cholesterol. Until now, research suggests that hawthorn may be effective in treating congestive heart failure. However, there has not been enough research of the other uses related to the heart to know if it is effective in them. Dandelion is useful many different conditions. However,, there is not sufficient scientific evidence to determine if it’s truly effective or not for any of them. However, it may be useful to treat loss of appetite, stomach pain, intestinal gases, gallstones, joint pain, muscle pain, eczema, and bruising. They also use it to increase urine production and as a laxative to increase bowel movements. It also is used as a skin toner, blood tonic, and digestive tonic. You can eat dandelion in green salads, soups, wines, and teas. Many herbalists recommend this herb for irregular menstrual cycles, PMS, and the symptoms of menopause. 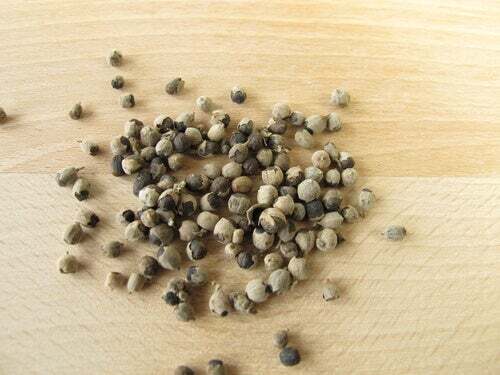 In addition, some also use it to treat fibrocystic breasts, prevent involuntary abortion in women with low levels of the hormone called progesterone, and increase breast milk. Some men use Vitex to increase their urine flow, for the treatment of benign hyperplasmia of the prostate, and to reduce sexual desire. 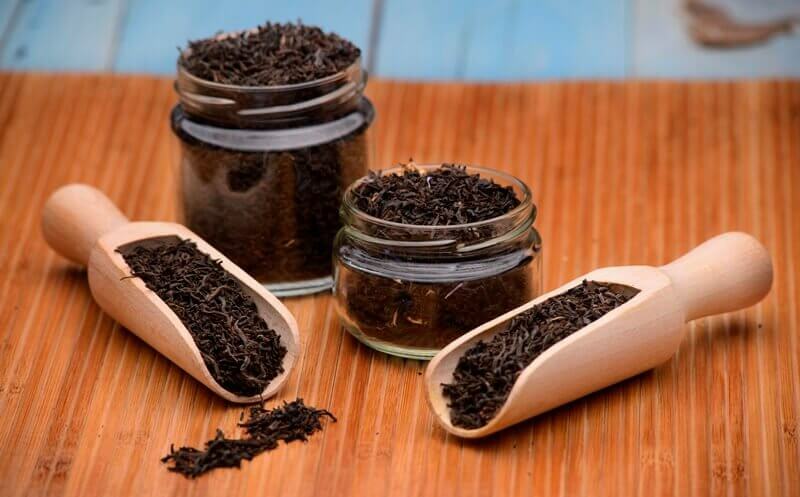 Licorice root may be useful for a variety of problems in the digestive system such as stomach ulcers, stomach pain, cholic, and continual inflammation of the stomach lining (chronic gastritis). Some people use it for sore throats, bronchitis, coughs, and bacterial or viral infections. Ginger is commonly used to treat various kinds of stomach issues, including dizziness, nausea, cholic, stomach discomfort, gas, and diarrhea. They often recommend it for nausea from cancer treatments, nausea and vomiting after surgery, as well as the loss of appetite. One of the chemical products in ginger is also an ingredient in laxative medications, anti-gas remedies, and antacids. Other uses include alleviating pain from arthritis or sore muscles, menstrual pain, upper respiratory tract infections, cough, and bronchitis. Nettle is useful for many conditions. However, there is still not enough scientific evidence to determine if it is truly effective or not in any of them. The root helps with urinary problems that come from an enlarged prostate. These problems include nocturia, the need to urinate too frequently, pain while urinating, the inability to urinate, and an irritable bladder. The upper parts are useful together with large amounts of liquids in “detox therapy” for urinary tract infections, urinary tract inflammation, and gallstones. The uppermost parts may also be useful for allergies, hay fever, and osteoarthritis. This is a herb that has been very popular in herbal medicine throughout Europe. Lady’s mantle helps reduce pain associated with periods and also to help improve heavy bleeding. It also has a role in working to alleviate the symptoms of menopause. As an astrigent, it may be a useful mouthwash for sores and ulcers, and a gargle for laryngitis. 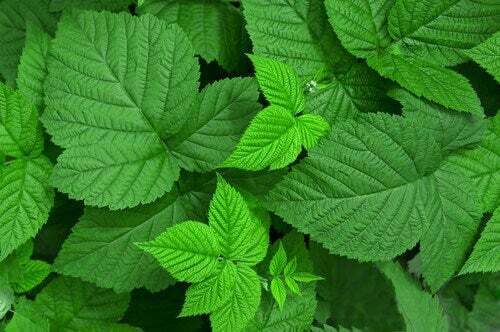 Finally, herbalists often recommend red raspberry leaves for gastrointestinal tract disorders. This includes diarrhea, respiratory system disorders, including flue and swine flu, as well as heart problems, fever, diabetes, and vitamin deficiency. In addition, some people use it to purify the skin and blood. While the uses of these plants may be versatile and incredible, it’s important to remember that some of them have not been scientifically tested yet.